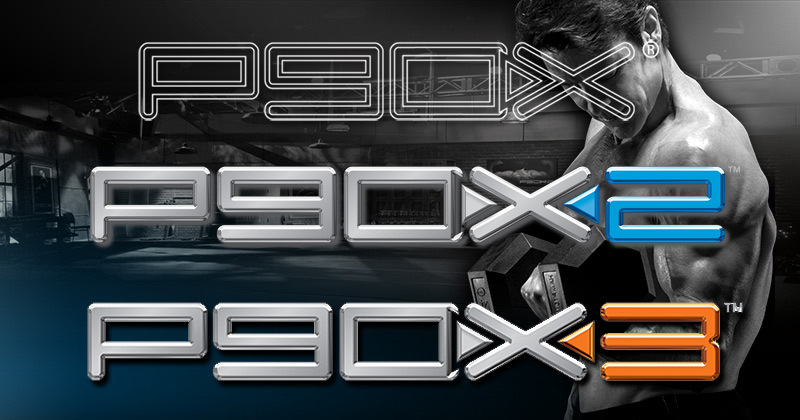 Here is all the latest information about P90X2. 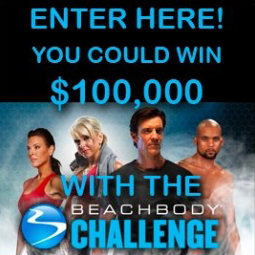 This was taken from a Webinar with Tony Horton, Steve Edwards (director of results since 2001),and the Beachbody team. I set this up as kinda a question and answer format, so keep reading and your P90X2 questions might be answered. 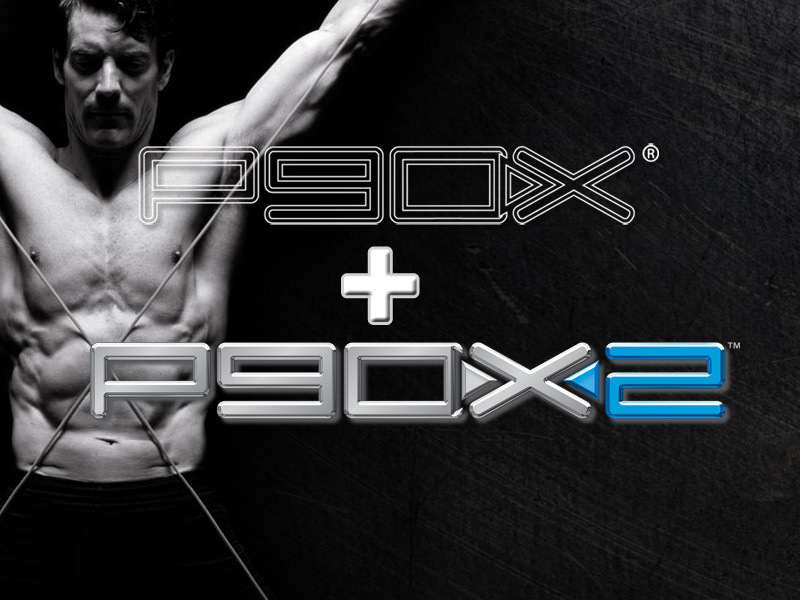 Below you will find out pricing for the 3 P90X2 kits, and info on how to pre-ordering P90X2. 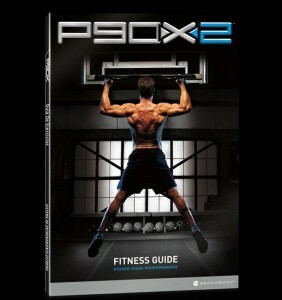 You will also see what comes with P90X2 and what you need to purchase in order to get all 14 dvds. Release date is set for Mid December, but you will need to Pre-Order in order to guarantee delivery by that date. 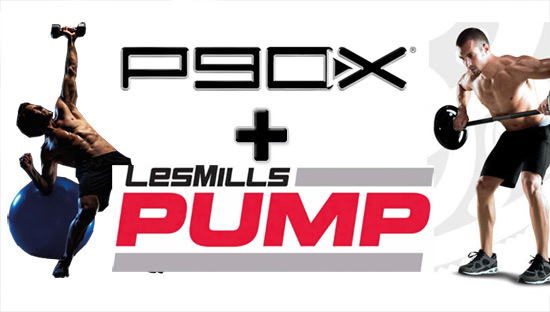 Click Here To Pre Order P90X2 Now! -A 90 day cutting edge fitness program that takes P90X Muscle Confusion to a new level, Focusing on Strength, Balance, Mobility, and explosive Power. -Helps people become true athletes. - Functionality, Insability, Form is King, Mobility, Flexibility, Neuro-Integrated Stretching. The schedule is a little more opened. You can stay in each phase longer if you need them longer. So you can schedule your recovery week when you need it. Truly fit by the end if every way. Recovery week: You will be able to select when you need your recovery week. 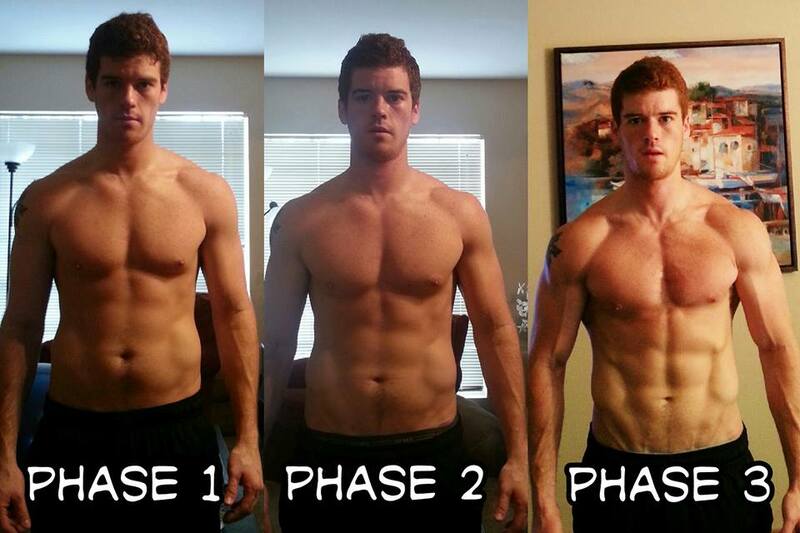 -Phase 1: You’ll move better, You’ll feel better, You’ll be far less likely to get injured. You will be able to move in a functional way and create more of a muscular balance. -Phase 3: You’ll Jump Higher, run faster, be more explosive, You will start to feel like a kid again. -Former Athletes wanting to get back in shape. 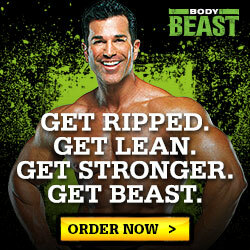 How does if differ from P90X, Insanity, and Asylum? - P90X questions have been answered. It has more flexibility, phases are different and cover more physiological ground. More targeted on weaknesses, more focused, and more compartmentalized. P90X2 is training for sp orts, Diet plan is more versatile. - Doing a weighted resistance exercise prior to an explosive one can increase the amount of power produced by conditioned individuals. Very counter-intuitive than how we normally train. 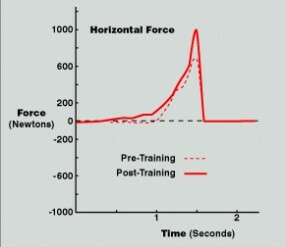 In conditioned athletes, “loading ” a muscle actually activates “muscle cell motor units” and makes you be able to lift more weight or explode more. You have a short window after the resistance exercise to make you perform better and make you feel like a kid. The “complexes” are put together to take advantage of this. Marcus Elliott helped to refine this and brought it to P90X2. - Where else do you get functional training, strength training, plyometrics and p ost-activation potentiation in one program. X2 Core: This is a new version of Core Synergistics. Total body workout with balance and stability focus. Plyocide: Plyometrics taken to the next level. Lateral movements have been added this time. X2 Recovery + Mobility: Foam rolling and stretching to help aid recovery. X2 Total Body: Total body workout that it’s up every single body part. You will do a little bit of everything in this one. X2 Yoga: 60 mins of Yoga this time. Emphasis on the moving exercises. Balance + Power: This combines balance move with strength moves, very tough…trust me, I have done it during rehearsals. Chest & Back + Balance: This is 1 of the workouts that I am in. Push and Pull workout. New Pull up moves and push ups on med balls…fun! X2 Shoulders + Arms: Brand new moves to take your shoulders and arm workout to the next level. Base & Back: Combines Plyometric leg exercises with Pull ups. 2 of the largest muscle groups in your body. PAP Lower: The new scientific sports training that is designed to focus on performance. Strength moves followed by explosive moves to make you explode. PAP Upper: The new scientific sports training that is designed to focus on performance. Strength moves followed by explosive moves to make you explode. V Sculpt*: The 2nd workout that I am in. Back/Biceps taken to a new level. Pull ups like you have never seen. Bicep moves that will challenge every part of your fitness. Movements are all done from an Athletic stance so that strength gains will be applicable to real world movements. X2 Chest + Shoulders + Tris*: All push worrkout. New exercises for new muscle confusion. This forces your “push” muscles to function better. We accomplish this with creative uses of instability and always forcing movement out of athletic position. (*Only in the Deluxe and Ultimate Kits). I am in Chest & Back + Balance, and V-Sculpt for those of you who are curious. 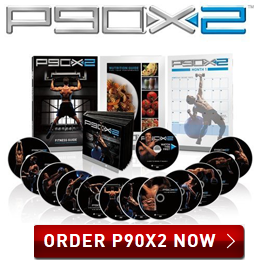 You can see most of the previews in the P90X2 section under workouts on this site HERE. 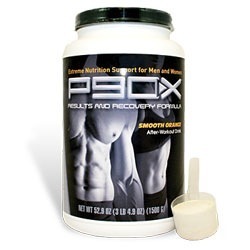 What Does P90X Come with and How Much Does it Cost? 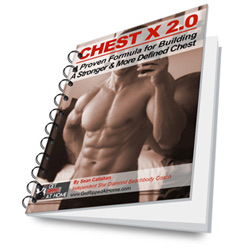 -Covers the phases, exercises and questions for P90X2. Explains the phase blocks in detail as well as written exercise explanations. 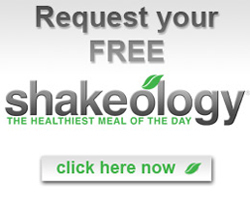 -New Vegan, Vegetarian, and Gluten-Free Options, Paleo Options. They have something for everyone and inbetween. 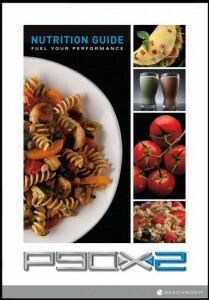 -27 Diet Guides in 1 to Fuel Your Performance. -The workout calendar is there for you to track your progress. 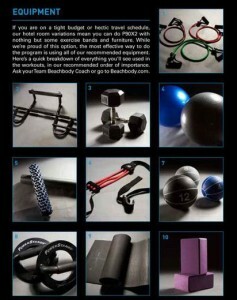 - See my P90X2 Equipment post. But they include: Bands, Chin Up Bar, Dumbbells, Stability Ball, Foam Roller, Chin Up Assist, Med Balls, Power Stands, Floor Mat, Yoga Block. 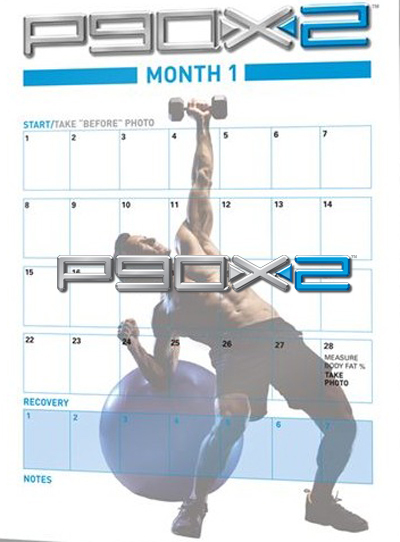 P90X2 Pre-Orders start on September 1st for TeamBeachbody.com and Through COACHES ONLY!! Also, if you Order from a ME or TeamBeachBody.com you’ll receive Two Free Discs: One on One: 4 Legs and One on One: Upper Body Balance. You can only get this through a coach. 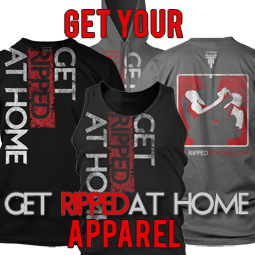 -Pre-orders will get FREE Shipping and Handling. This is huge! This offer is only for pre-orders only. To assure delivery by December 25th, 2011 you need to pre-order. -Every single week, they will be giving away weekly prizes when you pre-order. 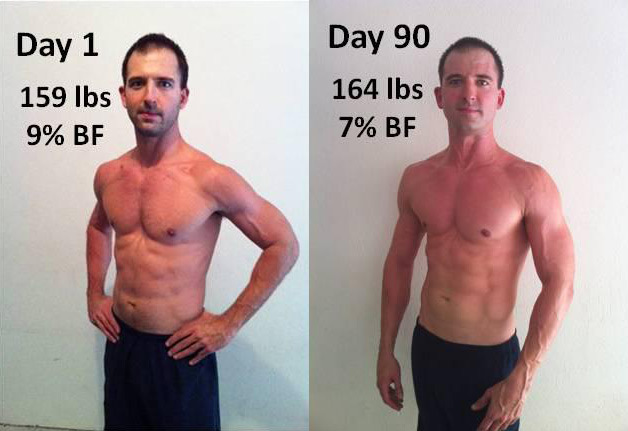 - You will also be able to Submit a success story for the first P90X2 Infomercial once you get P90X2 and begin. This program is going to blow anything away that you have done before. If you want to take your fitness to the next level then this will be the program for you. Please let me know if you have anymore questions and I will do my best to answer them for you. 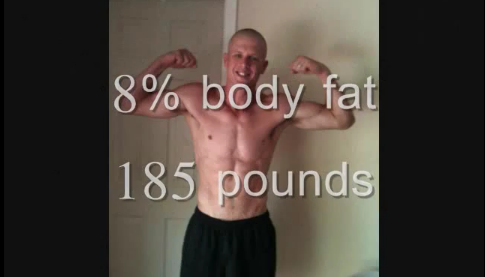 Being a cast member for P90X2 I have some more inside info that I can share if you ask. I hoped this answered your P90X2 questions. Sean, I see that the two (2) extra DVDs are included in the Deluxe and Ultimate kits (V-Sculpt and X-Chest/Shoulders/Tris). Are the exercises in these two DVDs vastly different from the other DVDs that are part of the Base kit? I'd love to have the extra DVDs but am still considering whether to purchase the Deluxe kit. Thanks for the update on the new P90X2. Soooo looking forward to it. Thanks for the info! Do you know if there will be an option for medball size, or are they all 8lb medballs? So how does it work for those who get the 50% off from the one on ones. And is there any differences in the dvd and blu rays. Like extras on blu ray that dvd might not have. Nice rundown, cast member! Your "Around the world" pullup is still the highlight of the P90X2 preview. Have been excited about the release of P90X2. A little disappointed in having to buy Ultimate kit to get the two additional DVDs considering I already have the med balls and other accoutrements. Great post Sean. Amazing amount of detail of P90x2. I CANT WAIT!!!! !